If you're a filmmaker at any level from just starting out to an industry expert you know that, in the edit process you always find a few sound effects, foley or ambient noises that you're missing. If you've been in that situation you've probably been to freesound.org. Freesound is a constantly growing library of Creative Commons licensed sounds. 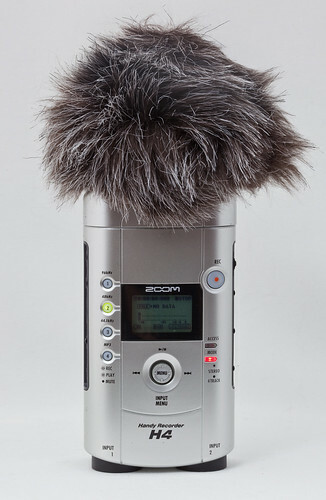 If you're looking for something their search engine usually returns a few hits of sounds that might be useful and it is often quicker and much more convenient than digging out your field recording equipment and hunting down the sound for yourself. That said, I'm sure lots of us have a few eclectic sound recording languishing on our hard drives that we recorded for one project or another. If you have something you're willing to share the process of uploading them is a little geeky (ftp) but they do have a web interface too and it is a simple way of uploading a bunch of files at once. You simply upload your files, then describe and tag them and then wait a couple of days for them to be approved. What's in it for you? What goes around comes around and what good are those files you're hoarding especially if you're not going to use them again. I just uploaded some of the sounds I've collected in recent months and it felt good to share. I hope other filmmakers will consider doing the same and freesound will become an even more comprehensive and useful resource for everyone.